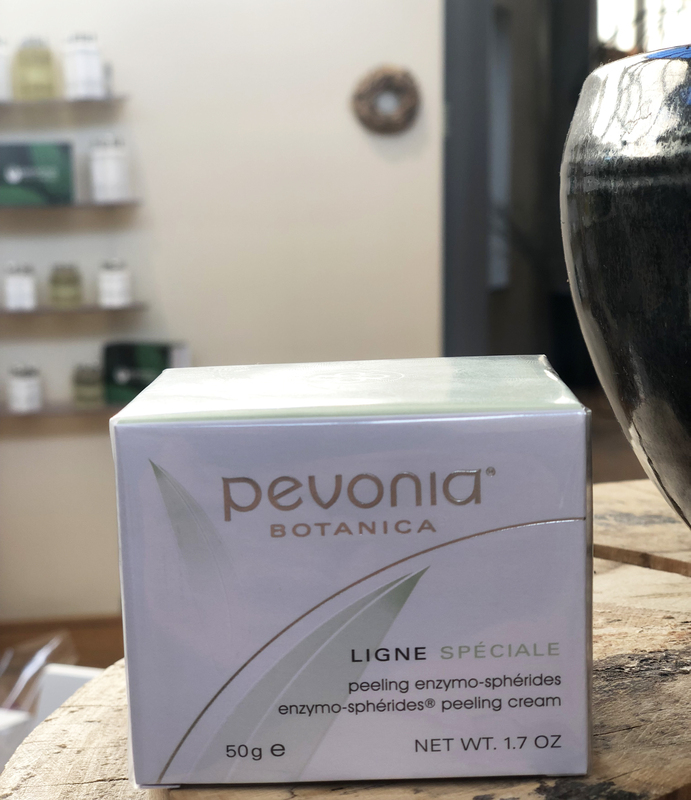 Pevonia Botanica is produced in France and was founded by Phillippe & Sylvia Hennessy. 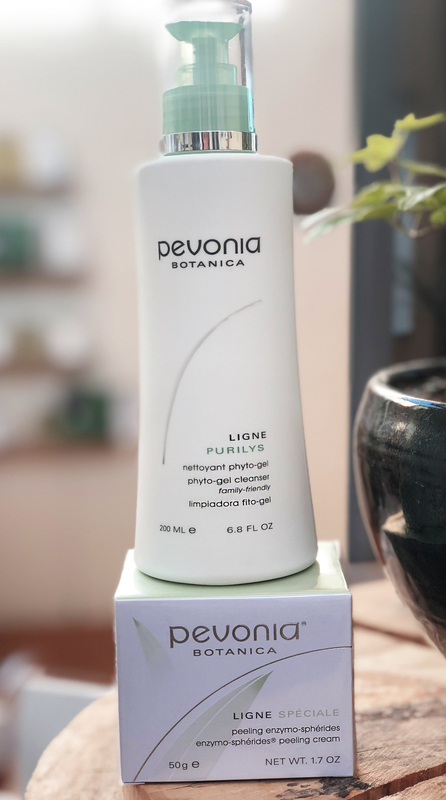 For more than 20 years, Pevonia has been the leader in delivering natural skincare solutions to the finest spas and professional aestheticians worldwide. There are no ‘badness’ in these products so they are free from sulphates, parabens, preservatives & petroleum. All packaging is bio degradable and the main focus is treating skin problems and choosing premium ingredients. 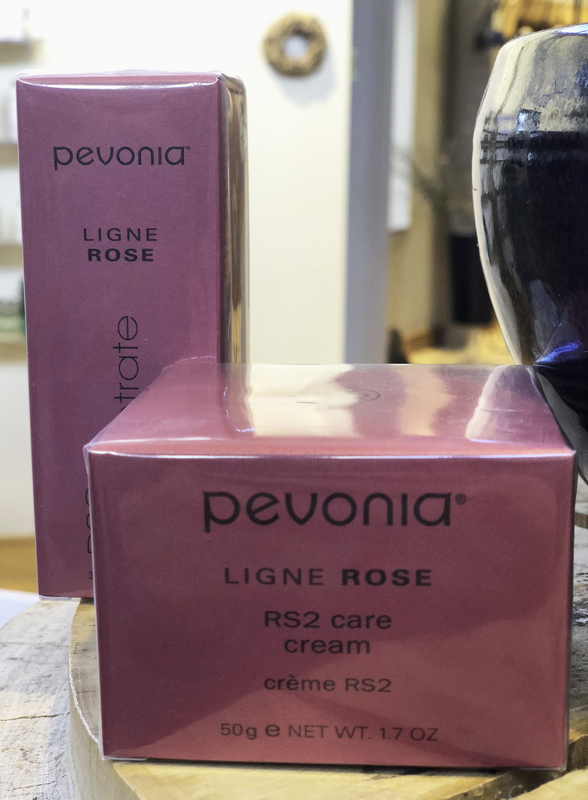 Visit the Pevonia Website to learn more about their natural products here. We met Kelly, one of our therapists at Monart to talk through some of the Pevonia products at Monart. The Rosacea line would the one of the most popular products as Irish skin tends to be a bit redder naturally. It is very good for sensitive skin when you have small broken capillaries. What the concentrate does in particular is it wraps itself around the capillary so it strengthens the wall & diffuses the redness. It is extremely hydrating so you would use that underneath your cream to intensify the effects of the cream. The cream is used for dry & dehydrated skin and is incredibly healing. The cream focuses more on moisturising and calming the redness and help to strengthen the skin and there is a cleanser and lotion to go with this. Any age can use this range and you don’t have to have Rosacea to use them. The cream will protect your skin and contains a SPF of 8. If you go any higher than SPF 8, it is classed as a suncream. 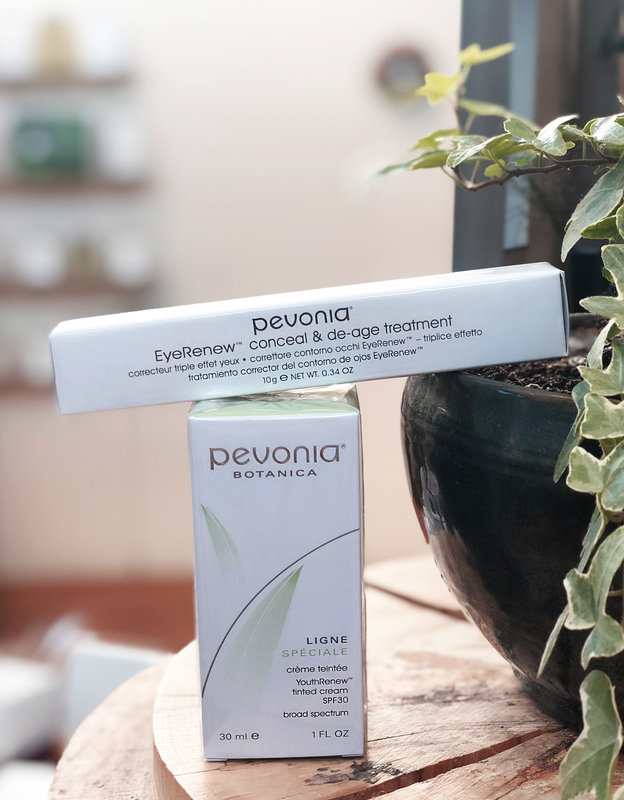 To get a higher SPF, chemicals need to be added and Pevonia are an all natural brand so there is no chemicals, sulphates, parabens, preservatives, alcohol or mineral oils in them. The Enzymo-Spherides Peeling Cream is an exfoliator that can be used twice a week. There is pineapple & papaya enzymes in it which digest any superficial impurities. Unlike grainy exfoliators, this product gets right into the pores and help to break down the congestion in the skin which is ideal as we need clear pores for the skin to absorb anything else. You only need to use this twice a week and begin with 30 second cleanses and build up to about 3 minutes. This product is really good for congested skin or someone who wear a lot of make up. You can use this as a stand alone agent. It is a foaming wash so there are no sulphates in it. The wash contains ‘sapinaria’ which will balance out the skin but not dry it out. It has a lot of antibacterial agents which is great for breakouts. You can use these products together and it helps to entrap the enzymes. The grain used in this cleanser is really gentle and it cleanses as it scrapes off the dead skin. However, keep in mind that this does not work as deep as the ESP cream would. This is fabulous for puffiness around the eyes and and treats the eye, not just conceals the problem. This product contains plankton which stimulates the lymphatics and helps with the drainage around the eye area. The applicator is like a silver ‘massage wand’ so the coldness helps to soothe and hydrate. There is collagen and hyaluronic acid which can hold almost 1000 times its weight in water so it will drip feed your skin throughout the day. This can be used alongside the Youth Renew tinted cream. This acts as a 5 in 1 as it has SPF, hyaluronic acid, UVA & UVB protection and collagen. You can heat this in your hand first and it will adjust to your skin tone. These contain a cleanser, lotion, cream & serum. The serum Vitaminic is for dehydrated skin and is oil based. You would only use this at night time unless you are at home. These packages are designed so you can do it at home. You have your gentle exfoliating cleanser (you get a travel size free with this bundle) and this will scrape off dead skin – you only need to use this twice a week. This means the Vitaminic can be absorbed deeper. This contains squalene oil which comes from olives so it is full of amino acids and it extremely nourishing. It also contains Vitamin C to brighten the skin and is an antioxidant. This is for excessively dry & dehydrated skin. The dry skin range is also very anti ageing and it will combat muscular atrophy which means the wasting away of your muscles. The lotion can be used as a toner. People tend to stay away from toners as they find that they sting their skin as you are using toners with the wrong ingredients. We use lotion instead of a toner or hydrating spray. All Pevonia Products are unisex and can be used by males & females. See our full range of treatments available here to see what treatment is best for your skin type.